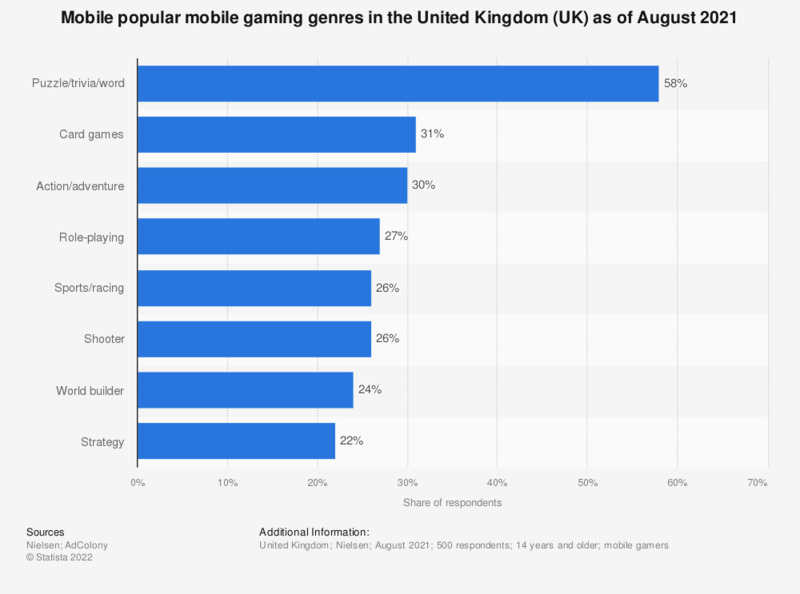 This statistic gives information on the market reach of the most popular Android gaming app genres in the United Kingdom (UK) as of June 2017. During a survey period, Shared2you found that puzzle mobile games had a 62.78 percent reach among Android mobile device users in the United Kingdom. data based on a sample device count of 180 mobile devices.